Email me at anna@annalynnlively.com to let me know what you need the most! If you’ve dreamt of creating a course that changes the world, but have no idea where to begin, keep reading. Your course matters. It can change the world. I really believe that. Sharing your big ideas changes the very thread of the cosmos. It helps your audience live their best life. We need your course! Really, where can I sign up? peaceful world for all beings. Does this sound like you or your project? If so, I want to work with you. Non-profit organizations, heart-centered entrepreneurs, yoga and meditation teachers, coaches, radical artists, and social justice innovators — are you out there trying to make the world a better place? If so, I want to work with you to shine your light and promote your work in the world. Whether you’re an entrepreneur who is starting your online business, or a seasoned social justice movement that wants to amplify your message, I want to help you reach your content goals. Not all course content is potent enough to deliver on such big promises, like transforming lives and changing the world. Many courses aren’t effective and leave learners overwhelmed, unclear, and untransformed. The content has to be out-of-this-world, of course. But the transformational experience happens when we create engagement, empathy, and compassion. The course should help the audience know where they are and where they are going. It must empower the learner while simultaneously leading them through the journey of becoming something new. The objectives must be clear and attainable. The structure and taxonomy is equally, if not more important than expert content. I collaborate with and serve change makers to create meaningful and effective content that delivers your message with power and purpose and provides a transformation for your audience. Your stories and expertise will ensure the content takes flight. My process helps us get across the finish line. We’ll work together to bridge the divide between learners who are left changed or unchanged. Your goals are my goals. I am keen to collaborate and generate fresh perspectives when working with clients. I want to meet you wherever you are in the journey and serve you in the way that benefits you the most. Every client is unique and comes with their own set of skills and talents. You may be a content whiz or a total newbie when it comes to creating course curricula. Some need more help with developing content or the instructional design process, while others need help mastering technology and platforms. Some want me to do it all for them and others just need a point in the right direction. You have agency here! What do you need? How can I support you? Your voice matters. Let’s project your voice through content that shines the light far and wide! Here’s an array of ways I can help your ideas take off. I write, design, and create content for online courses, websites, social and other digital media. I design and develop curricula for live, trainer-led classes, workshops, series, and retreats or for online courses. I write, design, edit, and produce video and audio content. I take interesting and artful photographs of people engaging in their passion and natural subjects. Whether we’re designing your signature online course, a certification program, or the perfect yoga retreat curricula, we’re going to run through a version of the process below. Do processes feel too restrictive? Don’t worry, these steps can flex and bend to meet your needs. We’ll mutually decide how I can be of the most benefit for your project depending on your goals. We’ll start with a Needs Analysis, which will help us scope the project and answer key questions about your intentions and audience. Next, we’ll kick-off a design approach that includes defining specific outcomes and objectives. We’ll seal your approval at this stage before developing any content. This is where the magic happens! We’ll create content that amplifies your message and shines a light on the important work you’re doing in the world. We won’t just complete it and call it a day. We’ll implement and publish, edit and republish until your content achieves the intended results we identified in the analysis stage. Let’s get it just right! I offer justice-based pricing. We’ll work together to ensure the work I perform for your project meets your budget and exceeds your expectations. After a free consultation, we’ll collaborate to determine the scope, timeline, and rate that works for your project and budget. The prices listed are guidelines; please book a consultation to begin collaborating and get an estimate for your project. Do you have an online course idea, but no idea how to bring it to life? Do you need help with your web content? Or an overall content strategy? Would you like interesting photos of your next retreat, organizing meeting, or fundraising event? Or maybe some cool shots for social or promos? Do you need help choosing an educational platform or marketing technology? Would you like to create a live, multi-session group training, but don’t know how to begin? Do you have ideas for audio and video content but lack equipment, software, time, or skills to get the work done? Do you need an experienced facilitator for your meetings, trainings or courses? I was working the 9 to 5 grind as I had been for 10+ years—all the while wishing I could spend my days on work that was more meaningful. I had a long corporate career where I gained the chops and the emotional intelligence to navigate content giants: writing multi-million dollar sales proposals and presentations, managing global marketing projects, and designing e-learning projects for international audiences on behalf of some of the biggest companies in the world. The grind was getting to me and something had to change. In 2012, I decided to take a long sabbatical for my physical and mental health, and I pursued spiritual renewal. During that healing adventure, I solo-traveled the country and India for many months. I began studying Yoga with Integrative Yoga Therapy and completed a 500-hour certification as an Advanced Teacher of Therapeutic Yoga. But I didn’t stop there. As I settled back into more mainstream work, I made Austin, Texas my home. A lifelong activist, I was compelled to take my 20-year yoga practice off the mat. I trained and officially started facilitating workshops for The Embody Love Movement and The Overcome Anxiety Project. These projects have become a core part of my heart’s work and have opened the doors for me to uncover my mission to work on projects with a social justice focus. 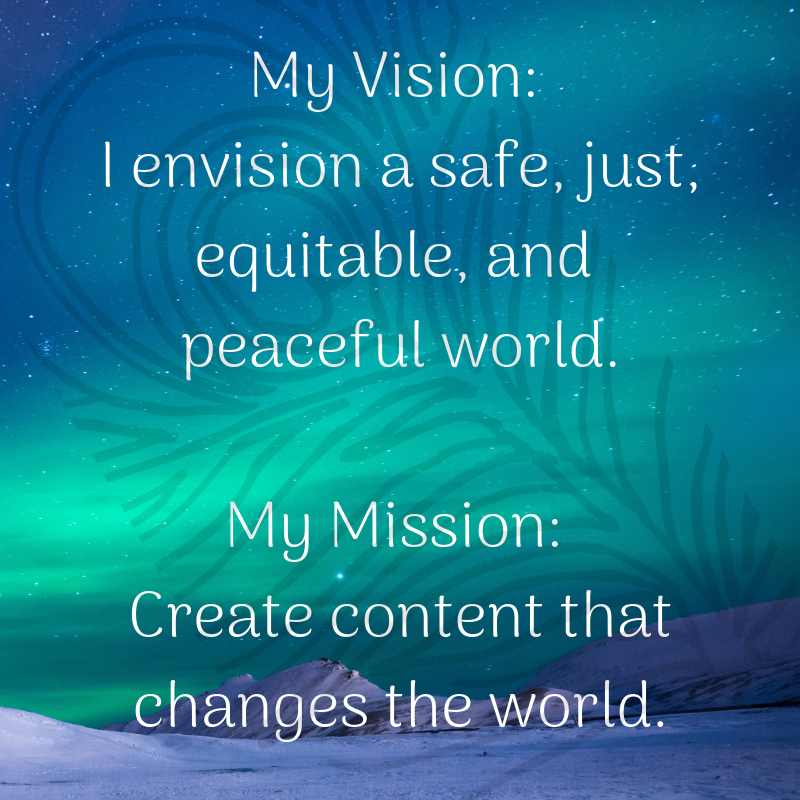 I work with corporate clients, as well as entrepreneurs, Yoga and meditation teachers, non-profits, and social justice organizations to bring their content dreams into reality. The time I spent in corporate marketing and training departments primed me for this moment. Our voices matter. We need to shine as brightly as we can. The world needs this light right now. Learn how to successfully quit smoking in 30 days! This is a course designed to help you quit smoking, for good. For the good of your quality of life. For the good of your overall health and wellness. For the chance to love your life as a non-smoker. and it also means forever. You’ll get life-changing strategies so you can be there for your family, save loads of money, and become the best version of yourself! Plan and prepare for a successful quit journey. Practice the techniques to manage and eliminate cravings before you quit. Master the mindset needed to be successful. Quit smoking on your predetermined date. Disrupt the patterns of addiction. Manage emotions and overcome triggers, cravings, and withdrawal symptoms. Qualify for life as a non-smoker. Develop healthy habits for sustainability. Love your new life as a non smoker. Sustain your non-smoking status for life!